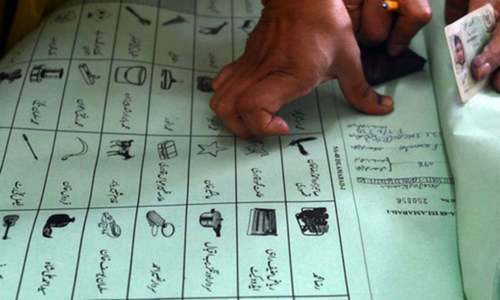 LAHORE: The district monitoring officers/deputy commissioners have been empowered by the Election Commission of Pakistan (ECP) to hold summary trials and penalise the candidates involved in flouting the code of conduct (CoC) issued for election. The continuous violation on the part of the candidates may lead to imposition of fine against them or their disqualification, it is learnt. “Previously, this job was supposed to be performed by the district returning officers/session judges. 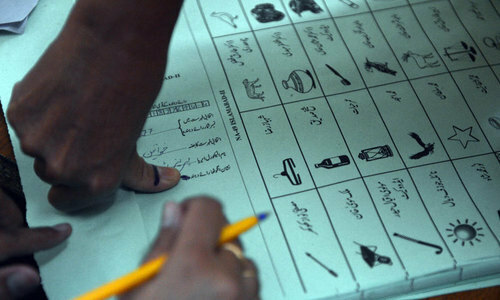 But under recent amendments to the relevant laws, the DCs in all districts have been appointed as district monitoring officers (DMOs) to monitor electioneering and ensure implementation of the CoC in their districts,” Lahore Commissioner Dr Muhammad Mujtaba Piracha told Dawn on Monday. “Besides, two monitoring officers (MOs), representing government departments, have been notified for each constituency to see whether the candidates are following the CoC or not. In case of violation, the MOs are supposed to report to the DMOs for action,” he explained. According to Mr Piracha, observing the code of conduct included display of specified sized banners, posters, handbills and other sorts of publicity material. Similarly, the MOs and DMOs would also keep eye on money spent on electioneering within the limit allowed by the ECP. However, the provincial government’s senior officials, DMO/DCs, MOs etc are yet to seek clarification on any mechanism devised by the ECP in this regard. “Though we are clear regarding implementation of the CoC in terms of display of the specified size of the publicity material, we need to have a clarification from the ECP on our role in restricting the candidates from spending money beyond the limit. 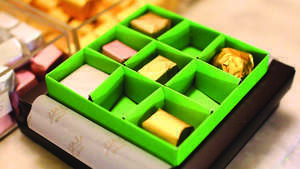 We will soon contact the ECP about mechanism devised in this regard,” the commissioner said. He said the CoC included prior permission for rallies, announcements through loud speakers, other communication ways to attract voters etc. The district election commissioner, RPO Sheikhupura, SSP Operations and DCs of Lahore, Kasur, Sheikhupura and Nankana Sahib also attended the meeting. Government should charge the candidate for using government property like pole , builds walls even sidewalk and roads.